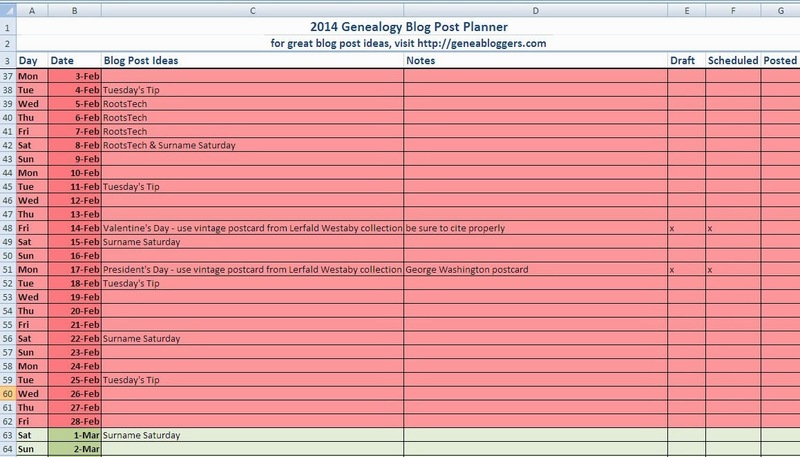 Here's a screenshot of how I'm using my 2014 Genealogy Blog Post Planner. You can see that I've already written and scheduled a couple of posts in February. I've marked when I'll be at RootsTech; I plan on blogging the activities there. I've also marked when I need to do Tuesday's Tips and Surname Saturday posts. I'll go in later and fill in exactly what ideas and surnames I'll blog about on those days, later. 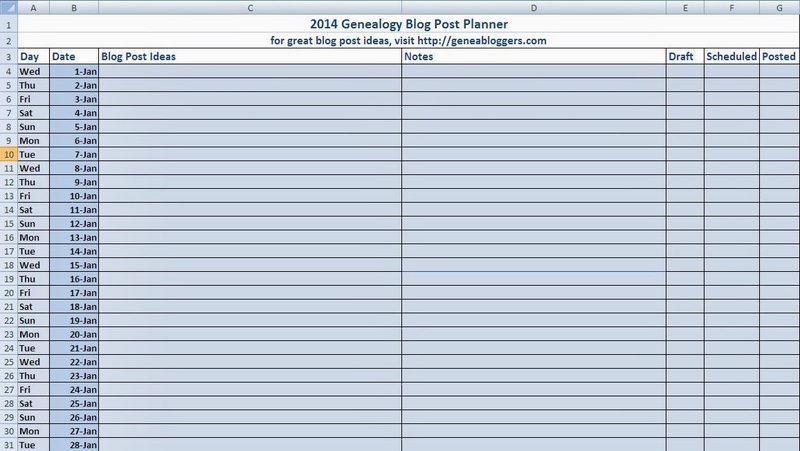 To get your own 2014 Genealogy Blog Post Planner, go to http://tinyurl.com/GBPP14. 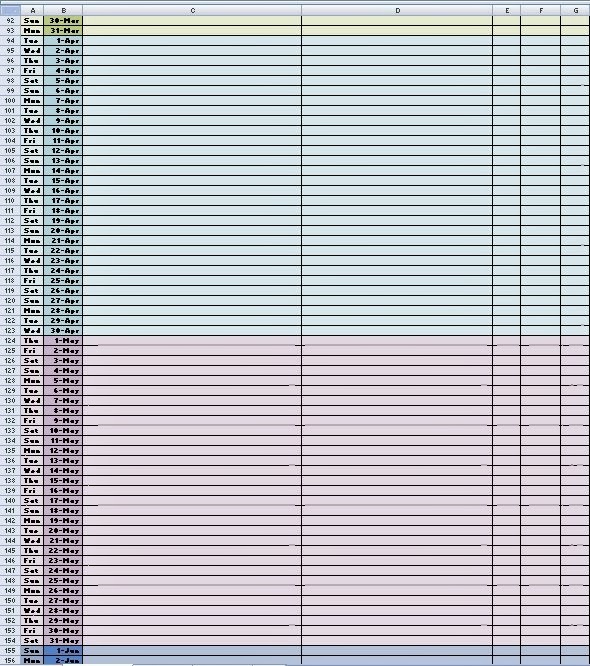 At the top of the page, click on File > Download As > Microsoft Excel. If you wish to keep this in your own Google Drive, download it first, save it to your computer, and then upload it to Google Drive. You can also request this template from me via email. Postcard to Rena Lerfald (c/o J. W. Allard) in River Falls, Wisconson from Sofia Lerfald in James [location illegible], postmarked [?] April 1910. Westaby-Lerfald Postcard Collection. Privately held by Troy Midkiff, [ADDRESS FOR PRIVATE USE,] Vancouver, Washington. 2013. There will be no Scanfest held during the month of December, not only due to the holidays, but mainly because I am recuperating from rotator cuff surgery on my right shoulder. 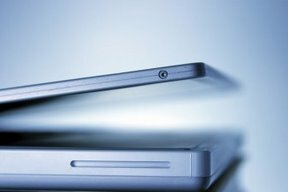 While scanning with my left hand is probably feasible, hosting the chatting session one-handed--and left handed, at that--is not! I'm tentatively scheduling the next Scanfest for Sunday, January 26, 2014, from 11 AM to 2 PM, PST. I'll update with a confirmation post the previous week. Meanwhile, if you have a Facebook account, I encourage you to join the Sunday ScanDay group there, to keep abreast of your scanning projects. 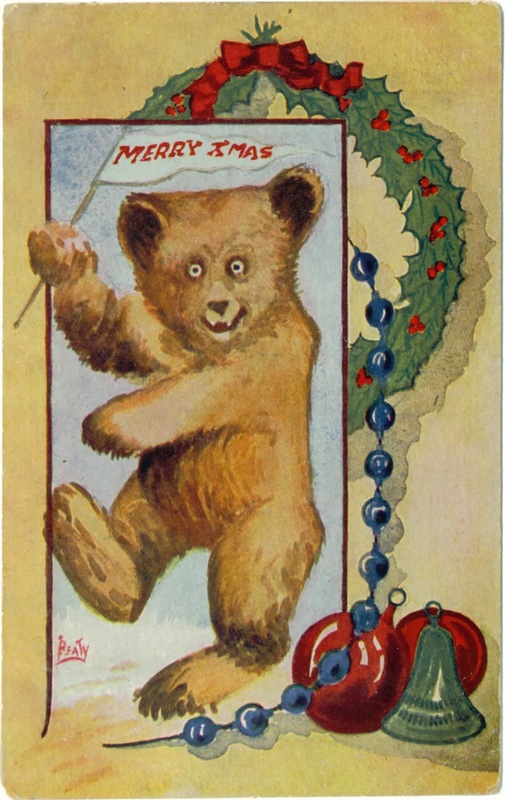 Wishing each and every one of you a joyful holiday season and a Happy New Year!